Get your home search started right now! The Better Homes and Gardens Real Estate app is THE app for all things home search. 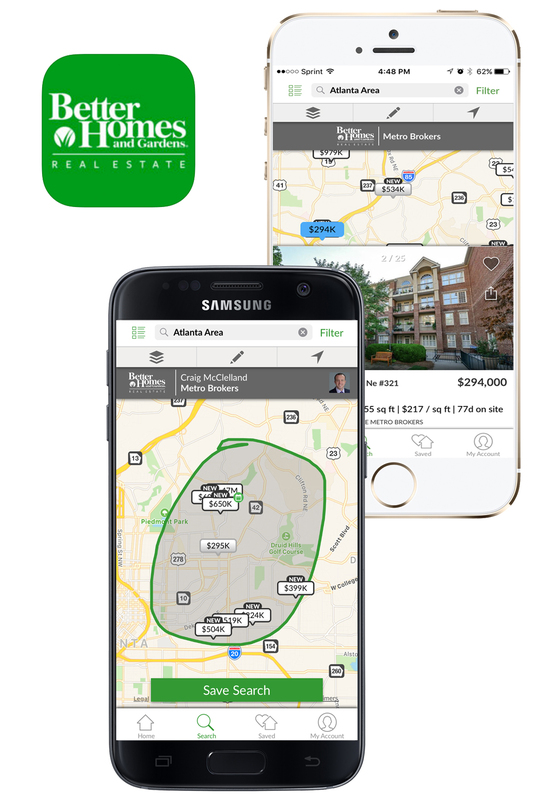 Whether you want to search metro Atlanta, a specific community of even a certain subdivision, you can do it all right within the app. It’s completely free and available on both iPhone and Android devices.